This week we highlight conservatory student Leland Pierce, a 12-year-old sixth grader from Rutland, Massachusetts. 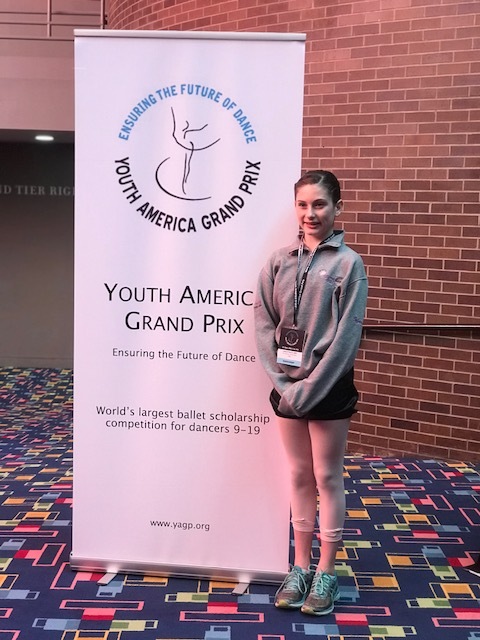 After competing in the regional Youth America Grand Prix International Ballet Competition at The Hanover Theatre in January, Leland went on to compete in the finals in New York City. 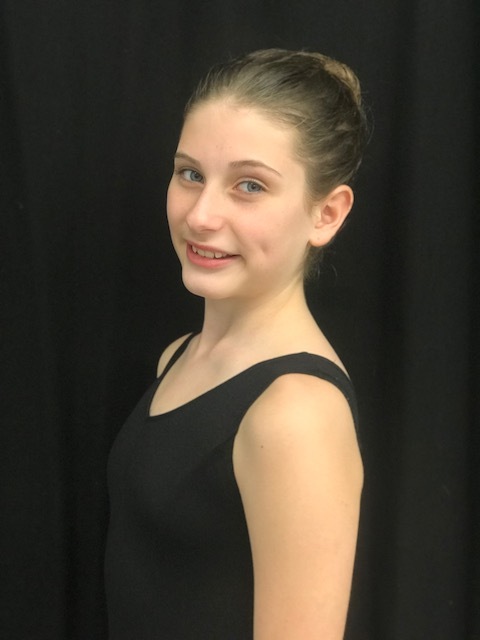 Read on for our Q&A with Leland, who has taken a variety of dance classes at The Hanover Theatre Conservatory. Tell us about your experience at the Youth America Grand Prix competition. I felt so grateful for the opportunity to attend with people from all over the world. The finals are a weeklong combination of master classes and competitions, ending with a gala at Lincoln Center. The gala showcases the top winners in each division and includes performances by professional dancers. I was able to dance in the “Grand Defile,” the last piece to close out the gala. There were over 200 dancers in the “Grand Defile.” It was intense! Rehearsals for this piece were long, and there was often a lot of waiting around, but I loved watching the choreographers create a beautiful dance. I met some great people and saw the most incredible talent during my week in New York. It was an inspiring experience that I will never forget and will always be thankful for. I received a lot of support from my family, friends and everyone at the conservatory while at finals. What is your favorite conservatory class and why? My favorite class is Focus Group because it is a little smaller than technique class and I can really push myself and work hard in that class. I am also able to get more one-on-one time with my teacher because of the size. This class makes me push my limits, and I love it. What is your favorite master class you have taken at the conservatory and why? My favorite master class that I have taken was with Kathleen Breen Combes from the Boston Ballet. 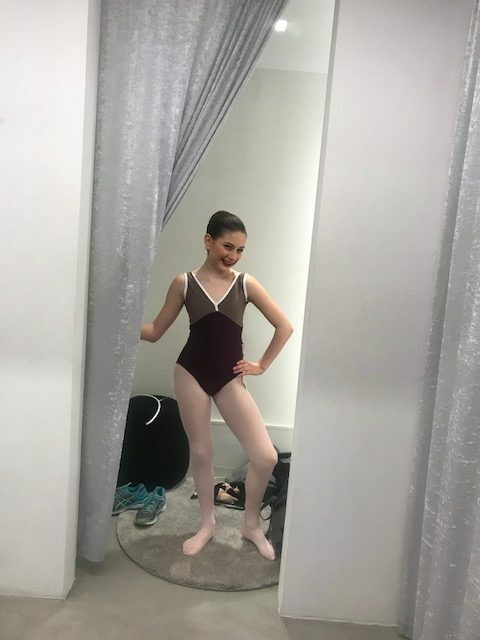 Her class was so inspiring, and the way she thought of ballet was wonderful. She really pushed me in the class, and some of the corrections and tips she gave me I use every day! What is your favorite show you have ever seen and why? “Something Rotten!” I saw it at The Hanover Theatre for the Performing Arts and found it so funny and enjoyable. You could clearly see that the performers loved what they were doing. How did you first get involved in the performing arts? What is your favorite thing about being involved in the performing arts? I first got involved in the performing arts when I was about two years old. My mom put me in a tap and ballet program at a small dance school. My favorite thing about the performing arts is that it isn’t just dancing. It is music, acting and dancing. I love being able to be a part of something where kids with different passions come together. What do the performing arts mean to you? Expressing yourself and showing people your passion and talent. I love having the idea in my head that I and my fellow students are performing or working toward performing to entertain not only ourselves, but the people around us. What is your favorite role you have ever played in a show or performance and why? 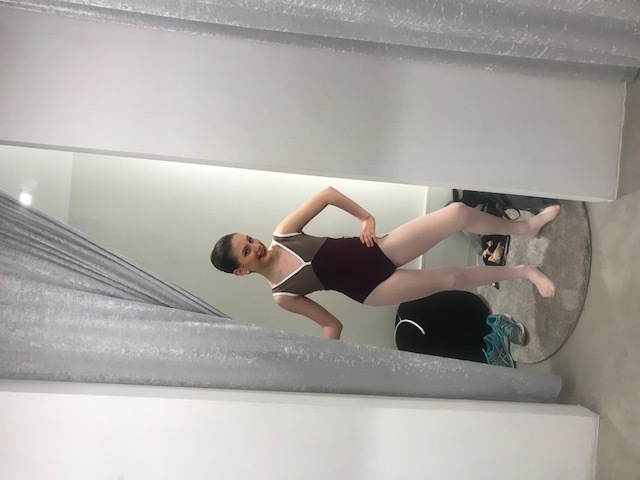 My favorite role I have ever played is a party girl in The Hanover Theatre’s production of “The Nutcracker.” The choreography was great, and being able to perform with my friends was a fun experience. I also loved the acting part alongside the ballet dancing. I want to be a professional ballerina when I grow up. I would love to be in a company someday, making my passion my job. Performing all over for people, inspiring and teaching dancers is something I wish to do and achieve in my life. I would also love to teach classical ballet someday and give back to students what my teachers gave to me. This entry was posted in Conservatory, Features, Student Perspectives. Bookmark the permalink. Kudos Leland on your amazing path from Worcester to New York to Worcester. Thanks for coming back! What a thrill it must have been to be invited to compete in NYC. It was great reading your background and seeing the benefits of your connection to The Hanover Theatre and Conservatory.